The use of poison gas in World War I was a major military innovation. The gases commonly used included disabling chemicals such as tear gas, blistering agents such as mustard gas and lethal asphyxiants such as phosgene and chlorine. Mustard gas in particular was designed to pollute the battlefield and would permeate the soil where it remained active for days, weeks or even months depending on weather conditions. This made mustard gas a preferred choice for use against wooded areas, billeting spaces, gun emplacements and all points of cover. Gas was everywhere in clothing, food and water; corroding flesh, internal organs and even steel armaments. The smells of the different chemicals were pervasive. Both sides understood that repeated area saturations with low vapor concentrations over prolonged periods of time ensured that the toxic environment itself would create casualties all on its own. While the killing capacity of gas was limited (approximately only 4% of combat deaths were due to gas), the proportion of non-fatal casualties was very high. Different types of chemicals were also frequently mixed together to achieve a greater combined effect, making it impossible to determine which specific poison was responsible for an individual soldier’s life-threatening condition. Gas projectors were often used prior to ground attacks to create clouds of gas that would blanket the opposing defensive positions. Additionally, gas shells would be used in conjunction with high explosive shells during artillery barrages; the high explosives forcing enemy troops to seek shelter where the gas vapors would then settle and contaminate them (gas was heavier than air, therefore denser near the ground where it affected the wounded and those seeking shelter in earthworks the most). Approximately 27% of all AEF combat casualties (including both dead and wounded) were caused by gas. Likewise, a considerable 31% of all AEF wounded were also treated in hospitals for gas injuries. 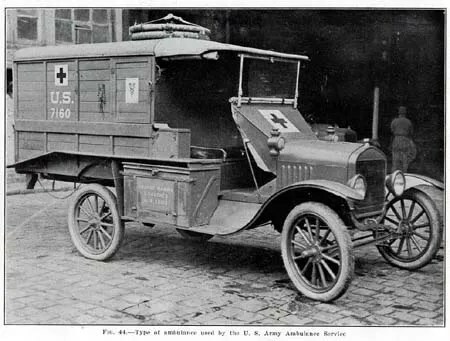 During the course of American involvement in the Great War, the number of gas wounded became so great that one field hospital in four per division (25% of total hospital resources) were dedicated to treating the victims of gas. Based on Sam Avery’s writings, it appears that he was injured by gas poisoning at the end of the Aisne-Marne Offensive in July, 1918. Along with inhalation, the ingestion of food and water contaminated by gas was a frequent route of exposure. What specific chemicals were involved in Sam’s case is not known, but he suffered from a classic case of delayed symptom onset and resulting toxic shock which was very serious. Among the delayed symptoms of phosgene poisoning were chest pain, shortness of breath, loss of apppetite with gastric pain, and general lassitude. It was also noted that “gastric derangements” would persist during convalescence. 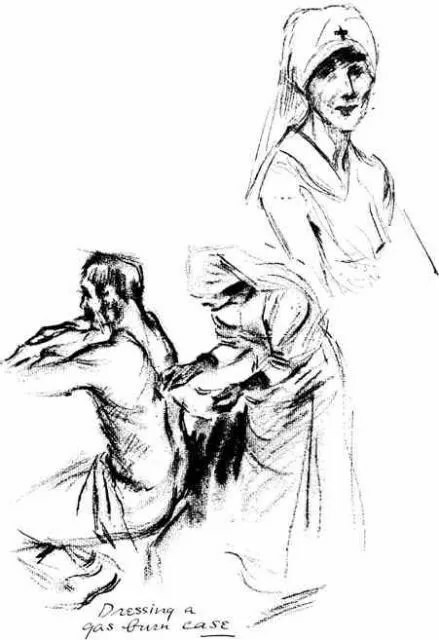 Sam’s own descriptions of his sufferings are identical when compared to these reference notes from the AEF Medical Service. 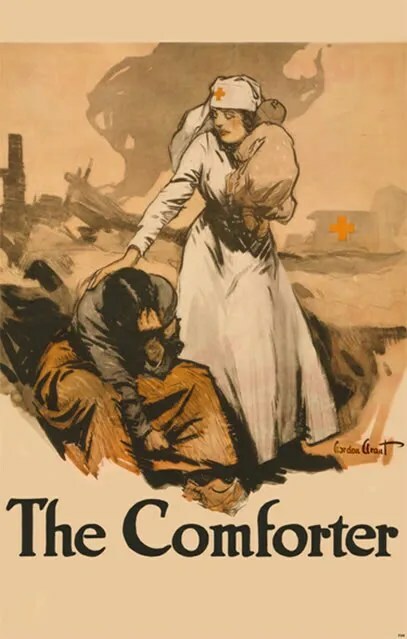 The Medical Department processed combat gas casualties using procedures similar to those used for the sick and wounded; soldiers were littered to dressing stations, sent in an ambulance to a triage or evacuation hospital, then on to a base hospital. 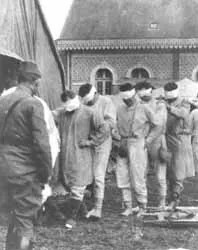 After they had sufficiently recovered, they were then sent to a convalescent area pending return to the front. 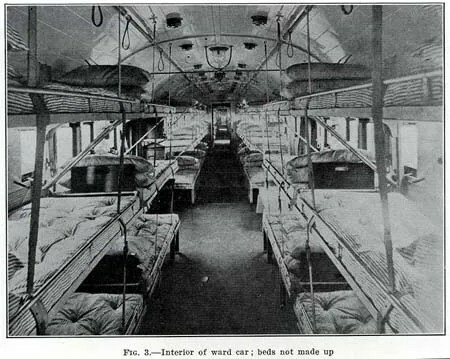 Whenever possible, gas casualties always rode to avoid exertion which would worsen their condition, and were sent to a specific hospital designated to handle gas cases. 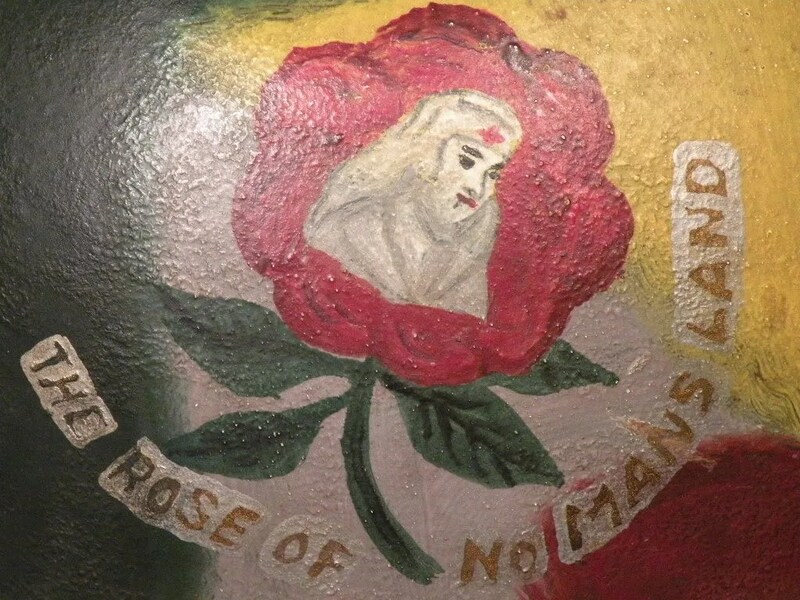 During the Aisne-Marne Offensive, 26th Division Field Hospitals No. 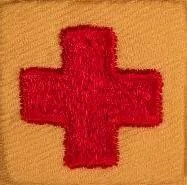 101 & 104 were established together in a large school building at Luzancy (Point A) to care for the slightly wounded, gassed and sick. Here the gassed cases received only preliminary treatment and were triaged by the division medical officer. The severely gassed were then evacuated as soon as possible by ambulance or truck to Evacuation Hospital No. 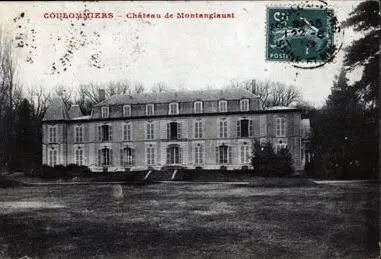 7 at Chateau Montanglaust in Joue-les-Tours (Point B) which had a total capacity of 1,100 beds and good facilities for evacuating patients by train to base hospitals further in the rear. Sam was ultimately transferred to Base Hospital No. 6 at Bordeaux (Point C) to complete his convalescence. 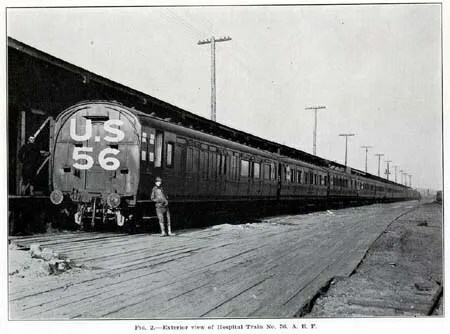 ORIGINAL FILM OF AEF HOSPITAL TRAIN WAITING FOR WOUNDED SOLDIERS IN TOUL, FRANCE. From the time he left the front in an ambulance at the end of July until his return to duty in early October of 1918, Sam Avery was moved through a series of field, evacuation and base hospitals which took him from Luzancy to Bordeaux (see map above). It was the first time Sam had been away from the front in 6 months since first entering the lines in February. Ever-optimistic that his “casual” assignment to medical care would be only a short one, Sam would discover that the serious gassing he had recieved actually required a longer convalescence of about 2 months. Like many others, Sam would also be bothered by its lingering effects for the rest of his life. Read Soldier’s Mail during recovery in the hospitals here: August, 1918; September, 1918. My uncle Robert Elliot Dewdney was gassed at Vimy Ridge. I am trying to find out what hospital he would have been in at the time. His brother Thomas William Dewdney was with another regiment, and met him there. But I am trying to find this information, as the above have long gone. My great grandfather, according to a notation in a family bible, was subject to mustard gas in WW1. There are no records in Pennsylvania such as death certificate or burial. One notatiin of ‘fuzancy’ I believe is a misspelling. Is there a way to find his informatiin. Lucien Browning born 22 July 1869 Warren, Ohio and died 1919 last known address Allegheny Co, Pennsylvania. Spouse Katherine Clifton Browning. My grandfather Sebastian San Miguel served in WW1. I have a paper picture of him with a dough boy uniform and hat along with high boots. I am working on finding out what happened to him as they are many stories of what happened in the family. One of them is that he was gassed and my grandmother Concha San Miguel went to Pennsylvania to help nurse him back to health. According to the 1910 census, he would have been 25 at the time. My maternal grandfather signed up with the cavalry in WWI (Canada) and early on in his tour, he was gassed. He survived and was released from duty and went home. He was unable to work at much of anything except as a chauffeur for short periods. Later he contracted lung TB. When he recovered, he developed COPD. In his 80s he had an oxygen tank with him at all times and eventually suffocated to death.